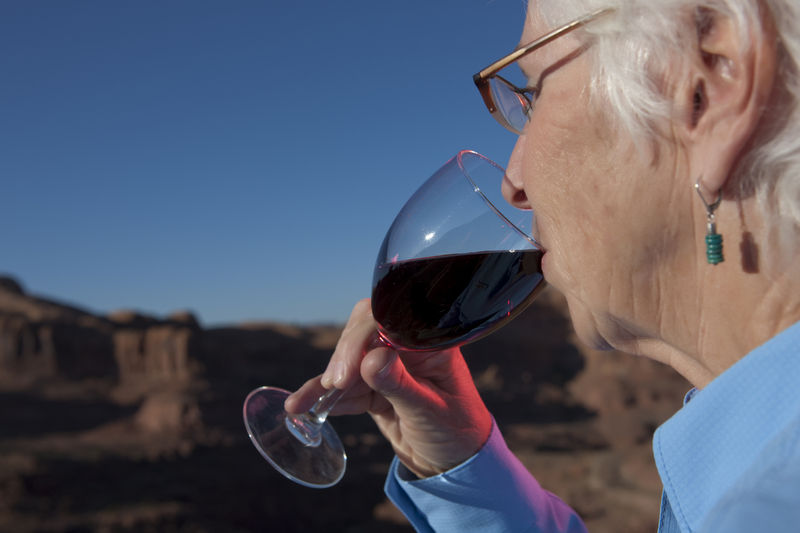 "Moderate" drinking might harm your heart if you're a senior citizen, a new study suggests. And women appear to be at greater risk for alcohol-related heart damage than men, the researchers found. "In an elderly population, increasing alcohol intake is associated with subtle alterations in heart structure and function, with women appearing more susceptible than men to the toxic effects of alcohol," said lead researcher Dr. Alexandra Goncalves. She is a postdoctoral research fellow at Brigham and Women's Hospital and Harvard Medical School in Boston. The study involved more than 4,400 adults, average age 76. The investigators found that women who drank even moderately -- one drink daily -- experienced a small reduction in heart function. Among men, consuming more than 14 drinks a week -- considered heavy drinking -- was linked to enlargement of the heart's left ventricle wall, the researchers said. However, the association seen in the study does not prove a cause-and-effect link. And one heart expert questioned the findings, given that other research has touted the benefits of some alcohol consumption for adults. "While heavy consumption of alcohol can result in heart disease and heart failure, a number of studies have suggested that light to moderate alcohol consumption is associated with a lower risk of heart attacks and strokes compared to non-drinkers," said Dr. Gregg Fonarow, a professor of cardiology at the University of California, Los Angeles. The findings of this new study -- linking moderate alcohol consumption to structural changes in the heart -- contradict the results of other research, he said. "Thus, any clinical significance of these findings is unclear at the present time," said Fonarow, who was not involved in the study. The American Heart Association recommends that those who drink alcohol do so in moderation. This means an average of one to two drinks a day for men and one drink daily for women. The association cautions against starting to drink alcohol for potential heart benefits. A "drink" is the equivalent of one 12-ounce beer, 4 ounces of wine, 1.5 ounces of 80-proof spirits, or 1 ounce of 100-proof spirits, Fonarow said. Goncalves acknowledged that light to moderate drinking might have benefits in reducing the risk of heart failure. But, she added, it's not known how much alcohol can harm the heart. Also, "women may be more sensitive than men to the toxic effects of alcohol on heart function," she said. "Compared with men, women may develop alcoholic-related heart disease by drinking a lot less alcohol over their lives." For the study, the researchers looked at the weekly alcohol consumption of 4,466 older adults who participated in the Atherosclerosis Risk in Communities study. More than half said they never drank. The size, structure and motion of various parts of the heart was assessed through echocardiography. In spite of potential benefits associated with low alcohol intake, "our findings highlight the possible hazards to cardiac structure and function by increased amounts of alcohol consumption in the elderly, particularly among women," Goncalves said. This reinforces recommendations that those who drink should not overindulge, she added. The report was published online May 26 in the journal Circulation: Cardiovascular Imaging.